Intellectual property litigation attorney Brent Babcock has represented clients in more than 130 Patent Trial and Appeal Board proceedings, more than 35 patent interferences and dozens of high-stakes cases in federal district court. Now, Babcock brings that 26-year track record of successful patent litigation experience to Womble Bond Dickinson. Babcock primarily focuses on serving tech industry clients. He has extensive experience in USPTO trials and post-grant proceedings, including Inter Partes Review (IPR), Covered Business Method Review (CBM), Post Grant Review (PGR), and Derivation proceedings. Intellectual Asset Management magazine has repeatedly named Babcock one of its top 40 attorneys nationwide for PTAB post-grant matters. Babcock will head Womble Bond Dickinson’s PTAB Trials practice group. In addition, Babcock counsels IP clients in pre-litigation, pre-interference and post-grant proceeding issues, as well as in federal appeals and patent-related alternative dispute resolutions. He is a frequent speaker on post-grant proceedings issues and has been regularly interviewed by numerous media outlets for patent litigation and PTAB insights. Bick Law LLP has been included in the U.S. News & World Report’s “Best Law Firms” list for 2019. The 2019 rankings are based on the highest number of participating firms and highest number of client votes received on record. To be eligible for a ranking, a firm must have a lawyer recognized first in The Best Lawyers in America, which recognizes the top five percent of practicing attorneys in the U.S. Bick Law received a Tier 1 ranking for Environmental Law in Orange County. Easton & Easton, LLP has been selected by the LA Times as the 2018 Readers’ Choice for “Best Personal Injury Law Firm” in Orange County. Additionally, Easton & Easton was one of only 14 law firms selected as a “Tier 1 – Best Law Firm” by U.S. News & World Report for Plaintiff’s Personal Injury Litigation in Orange County for 2019. Principle Partners Doug and Matt Easton were each recognized again among The Best Lawyers in America for Plaintiff’s Personal Injury and Product Liability Litigation. Best Lawyers® selects attorneys who have earned peer recognition through exemplary legal work that attracts the notice of their colleagues. Additionally, Matt Easton has been selected for the third consecutive year among Super Lawyers’ Top 25 Up-and-Coming Rising Stars in Orange County and Top 100 Up-and-Coming Rising Stars in Southern California. This year, Easton was also featured within Super Lawyers magazine for the expansion he has spearheaded at Easton & Easton using advanced legal and trial technologies. Aitken Aitken Cohn has again been named one of the 50 most charitable companies in Orange County. The Civic 50 Orange County is presented by the Orange County Business Journal (OCBJ) in partnership with OneOC and provides a “local standard for superior corporate citizenship and showcases how companies can use their time, skills and other resources to improve the quality of life in the community where they do business.” Orange County honorees were determined using True Impact’s adapted national Civic 50 online survey that is independently administered and scored. OCBJ and OneOC selected companies based upon four factors of community engagement: investment, integration, institutionalization and impact. From donating money and sponsoring events, to serving on the boards and offering free legal expertise, Aitken Aitken Cohn attorneys enjoy giving back and support organizations that provide services to those in need. Snell & Wilmer is pleased to announce that Daniel S. Rodman, a partner in the firm’s Orange County office, has accepted an invitation from the American Bar Foundation (ABF) Board of Directors to become a Fellow of the ABF. Membership in The Fellows is limited to one percent of the lawyers licensed to practice in the U.S. and its territories and to a limited number of lawyers in jurisdictions outside the U.S.
Rodman serves as co-chair of the Firm’s Product Liability Litigation group. He is a trial lawyer focused on defending motor vehicle manufacturers and suppliers against claims of wrongful death or catastrophic injury, and defending companies in complex commercial and employment litigation in California and Nevada. He received his J.D. from Loyola Law School and his B.S. from University of Southern California. Active in several bar organizations, Rodman is currently a member of the American Bar Association and the Orange County Bar Association. He has been a Fellow of the American College of Trial Lawyers since 2017 and he is a current member of the Defense Research Institute. Newmeyer & Dillion LLP is pleased to announce the addition of four associates, Patrick Hunt, Scott Satkin, Jasmine Shams, and Stephanie Talavera, to the Newport Beach office. The addition of these associates fortifies the firm’s commitment to provide unparalleled service to our clients. 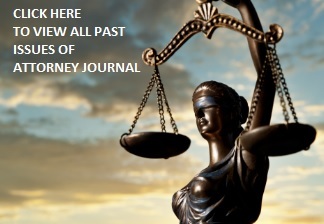 Each attorney has unique strengths that continue to diversify the firm’s approach to their clients. In addition to serving clients in commercial litigation, Patrick Hunt served as a judicial extern to the Honorable Justice David A. Thompson. Scott Satkin will support clients as it relates to cybersecurity and litigation. Jasmine Shams will support the Labor & Employment group by leveraging her experience representing management throughout all stages of litigation before federal courts, state courts, and administrative agencies.. Stephanie Talavera will be a resource to the firm’s clients in the areas of land use and environmental law.